– Can make varieties of coffee like Espresso, Cappuccino, etc. Bored of plain old coffee? Looking for a little more variety? You got it! 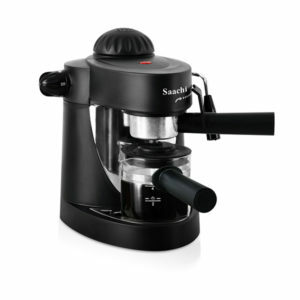 The new Saachi coffee maker NL-COF-7051 can make many different styles of coffee including espresso, cappuccino, cafe latte and many others. The steam nozzle allows you complete control over the amount of froth you desire in your coffee. The drip tray can be easily removed allowing for more efficient cleaning of the appliance. 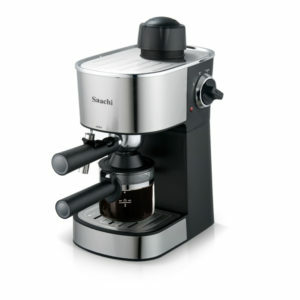 – Can be used to make expresso, cappuccino, etc. Bored of plain old coffee? Looking for a little more variety? You got it! 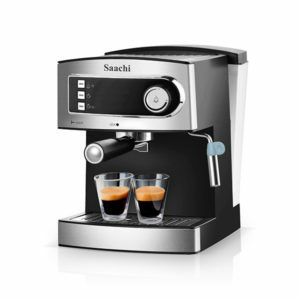 The new Saachi coffee maker NL-COF-7055 can make many different styles of coffee including espresso, cappuccino, cafe latte and many others. The steam nozzle allows you complete control over the amount of froth you desire in your coffee. The keep-warm tray on top of the appliance allows you to keep a cup of coffee warm while you prepare to make another one, handy when entertaining guests. – Can make varieties of coffee like espress, cappuccino, etc. Bored of plain old coffee? Looking for a little more variety? You got it! 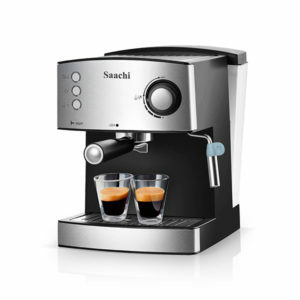 The new Saachi coffee maker NL-COF-7056 can make many different styles of coffee including espresso, cappuccino, cafe latte and many others. The steam nozzle allows you complete control over the amount of froth you desire in your coffee. The keep-warm tray on top of the appliance allows you to keep a cup of coffee warm while you prepare to make another one, handy when entertaining guests. Bored of plain old coffee? Looking for a little more variety? You got it! 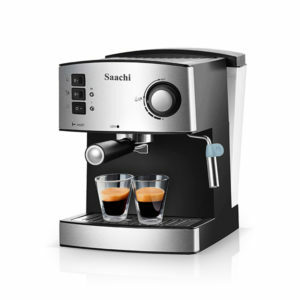 The new Saachi coffee maker NL-COF-7057 can make many different styles of coffee including espresso, cappuccino, cafe latte and many others. The steam nozzle allows you complete control over the amount of froth you desire in your coffee. The keep-warm tray on top of the appliance allows you to keep a cup of coffee warm while you prepare to make another one, handy when entertaining guests.